Schoolhouse was fun! A super busy day running around to many different presentations. 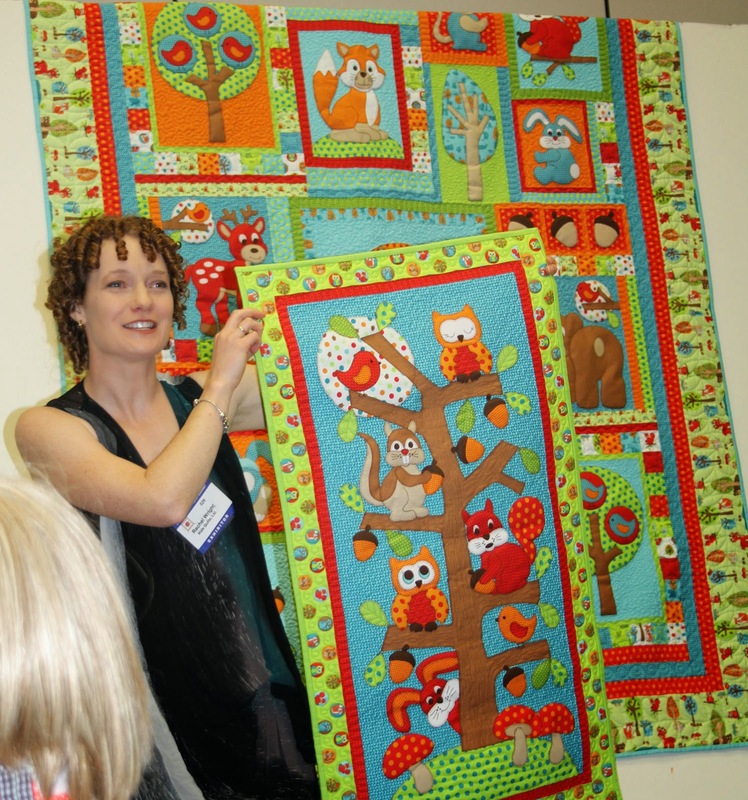 Kids Quilts from New Zeeland has a brand new fabric range coming out in February, and new patterns using their bright and cheery fabrics! We fell in love with it all! 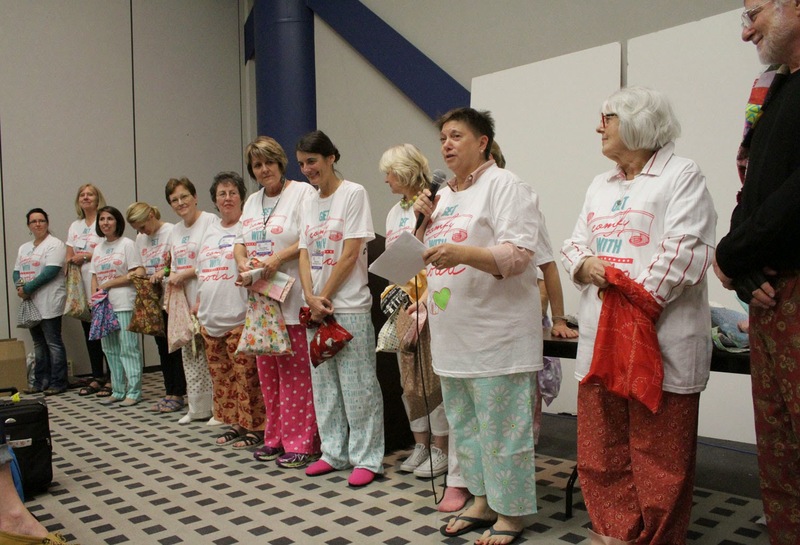 The Moda Schoolhouse was fun as always- here are the designers who had new fabric collections coming out in their pj's :-) It was a Moda pyjama party! 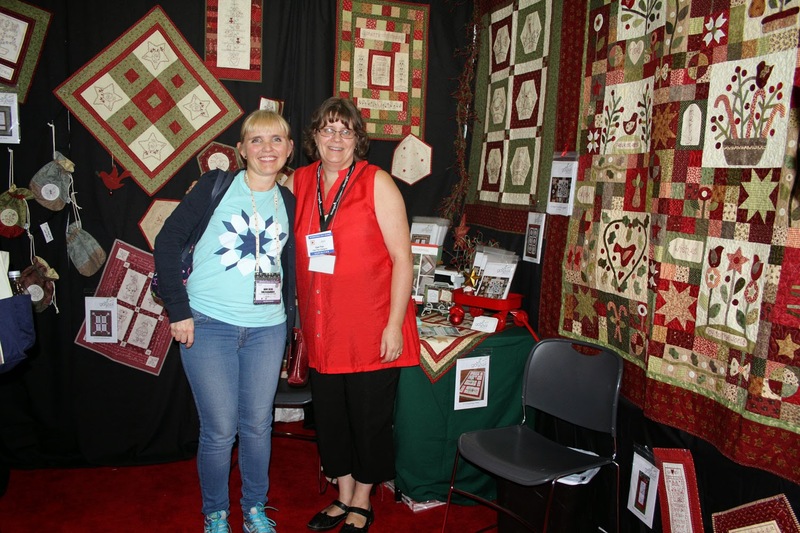 I got to meet Gail again too, she had such a lovly booth, and of course we got some of her new patterns and her new Christmas book. 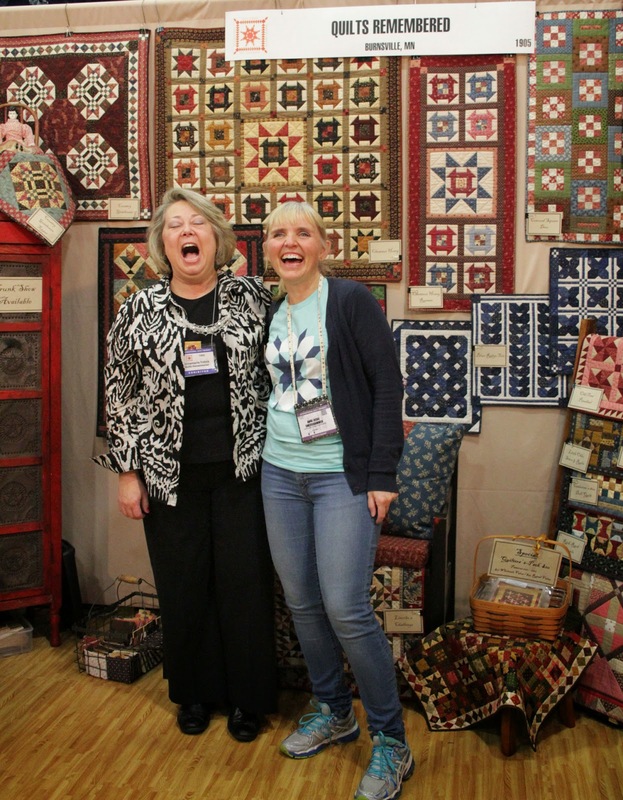 And one of our new pattern suppliers: Quilts remembered. Looks like we had fun...! I have a ton of pictures to go through, and I will post more in the coming days! 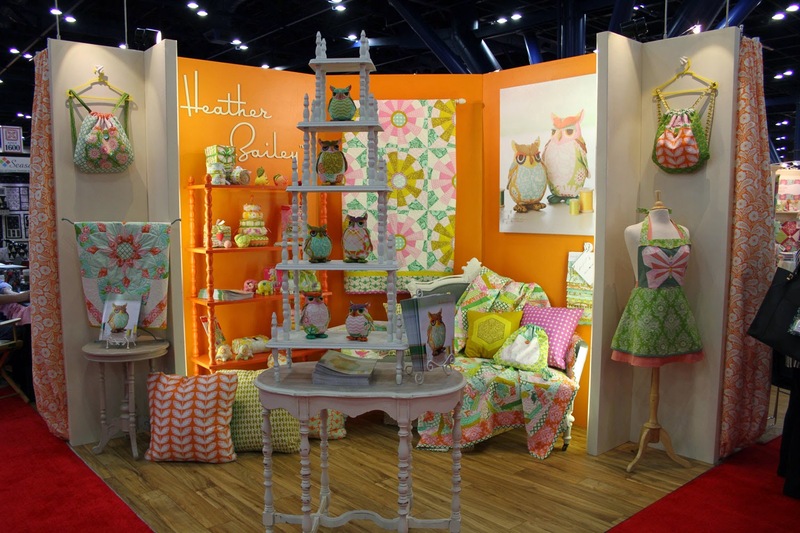 Oh wow -- you went to quilt market! Looks like you had a great time!! !